Lupus and IBS: The Connection That Affects Your Quality of Life. If you have Lupus and are wondering where to start supporting your health, this article is for you. While Lupus is a very serious disease, you absolutely can lead a healthy life with it. Let me start with a very brief overview of symptoms and diagnosis, then we will jump into the Lupus and IBS connection and why it is so vital to investigate in patients. Systemic Lupus Erythematosus (SLE) is a complex, systemic autoimmune disorder. Lupus symptoms include fatigue, photosensitive rash (malar “butterfly” rash over cheeks and bridge of the nose seen in less than half of SLE patients) and hair loss. Polyarthralgia – usually of peripheral joints including hands, knees, and feet – is also found in nearly 90% of Lupus patients, and they are also more prone to the development of polymyalgia and fibromyalgia. Lupus is a systemic autoimmune condition that can damage many different body systems including the joints, skin, blood cells, brain, heart, lungs, and kidneys. Lupus patients are often missed and labeled with another diagnosis prior to finally identifying them with Lupus. In our office, we find that patients with depression, chronic fatigue, and fibromyalgia can often be suffering from a case of Lupus that has slipped through the cracks. 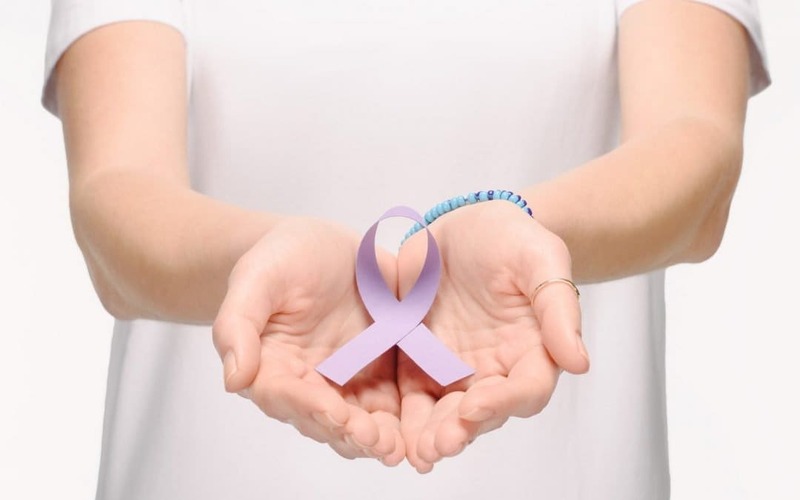 At a minimum, you should have an ANA (anti-nuclear antibody) test done to begin the Lupus investigation progress if you have the above symptoms. Lupus is more common in women and tends to strike between the age of 25-45. We often see this in your moms trying to raise a family. One of the most common complicating factors for Lupus patients is irritable bowel syndrome (IBS) and small intestine bacterial overgrowth (SIBO). This is one of the first things we rule in or out in any autoimmune client, and Lupus is no exception. A fundamental concept with any autoimmune disease is to evaluate a patient for proper gut health, but in Lupus, it is doubly critical. This makes sense when we think of the disease from the big picture. In Lupus, our immune system has a plethora of “immune complexes” that the body is unable to clear out. As a result, the body destroys itself. To decrease the immune complexes, we can use traditional immune altering drugs. However, (and here is where the gut comes in) 60-80% of our immune system is housed in our gut associated lymphoid tissue (the GALT)! While our body is nearly 10 trillion cells, current estimates are that you have over 100 trillion bacteria living in and on you! Your immune system has a huge regulatory role in the interaction between you and the bacteria you live with and this system is often imbalanced in Lupus patients. 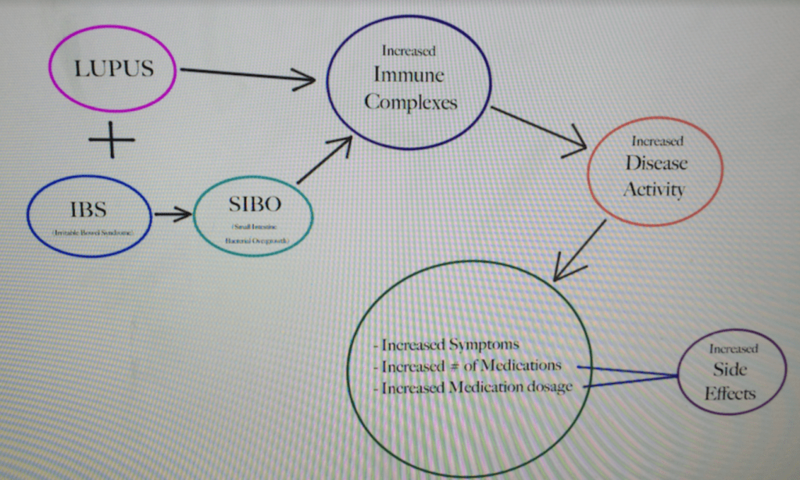 Figure 1Lupus + IBS from SIBO leads to increased immune complexes, increased disease activity, which leads to more symptoms, the need for more medications at higher dosages and the potential for more side effects from those medications. Research has shown Lupus patients have decreased colonization resistance and are prone to bacterial abnormalities in the gastrointestinal tract[i]. A study published in 2013 found 48.6% of Lupus patients had IBS-type symptoms compared with 5% of control patients using the same ROME 3 diagnostic criteria. Having IBS with Lupus is associated with a worse quality of life, increased rate of fibromyalgia, increased rate of depression, and increased severity of depression compared to lupus patients without IBS symptoms[ii]. The same study found SLE+IBS patients were more likely to have higher lupus activity scores (calculation from patient symptoms and laboratory analysis) than patients with SLE alone. someone with an autoimmune disease. The bottom line is Lupus patients are more prone to IBS. If you have Lupus + IBS your disease progression and symptoms are worse than if you have Lupus alone. Therefore, if you have Lupus + IBS addressing the IBS is a great action step for you. Is There a Test to Help Me? If you’ve been in our office, you know we are adamant about testing and measuring progress for patients. We like acting based on a preponderance of evidence (such as symptoms + a positive test). The two tests we recommend and run commonly to investigate IBS are called the SIBO Breath Test and the Comprehensive Stool Analysis. If you have irritable bowel symptoms such as abdominal bloating, diarrhea, constipation, and abdominal pain along with Lupus, one or both of these tests is an absolute must! Albano et al. investigated SIBO in 14 patients who had Lupus and IBS symptoms such as bloating (50%), diarrhea (64%), constipation (42%), and abdominal pain (42%). Patients were given the breath test and 12 of the 14 tested positive for bacterial overgrowth[vi]. Closing point – in some Lupus patients, improving their gut function can significantly impact their disease activity and help improve their health-related quality of life! If you have Lupus plus IBS symptoms, stop into Restorative Health Solutions to get a comprehensive stool analysis or a breath test to investigate the possibility of SIBO today. [i] Apperloo-Renkema HZ, Botsma H, Mulder BI, Kallenberg CG, van der Waaij D. Host microflora interaction in systemic lupus erythematosu (SLE): colonization resistance of the indigenous bacteria of the intestinal tract. Epidemiol Infect. 1994; 112(2):367-73. [ii] M Garcia Carrasco, C Mendoza Pinto et al. “Irritable bowel syndrome-type symptoms in female patients with mild systemic lupus erythematosus: frequency, related factors and quality of life.” Neurogastroenterology & Motility. 2013; 25:958-966. [iii] Lovell RM, Ford AC. Global prevalence of and risk factors of irritable bowel syndrome: a meta-analysis. Clin Gastroenterology and Hepatology 2012; 10:712-21. [iv] Barbara G, Cremon C, Carini G et al. The immune system in irritable bowel syndrome. J Neurogastroenterology and Motility 2011; 17:349-59. [v] Schmulson M, Chey WD. Abnormal immune regulation and low-grade inflammation inIBS: does one size fit all? Am J Gastroenterology 2012; 107:273-5. [vi] Albano S, Hallegua DS, Wallace DJ et al. Small intestines bacterial overgrowth in systemic lupus erythematosus. Arthritis Rheum 199; 42: S305.